The market for medical apps is booming, and both patients and hospitals can benefit from mobile applications. Mobile apps save time, make interactions between doctors and patients more effective, and provide hospitals and clinics with reputations as technologically advanced facilities. In 2016, the App Store offered over 250,000 health-related applications, most of which were fitness apps and startups. Grand View Research projects that the mHealth market will show an incredible 44.2% compound annual growth and reach more than $110 billion by 2025. While these numbers may seem very attractive, there are also some problems with health-related applications. 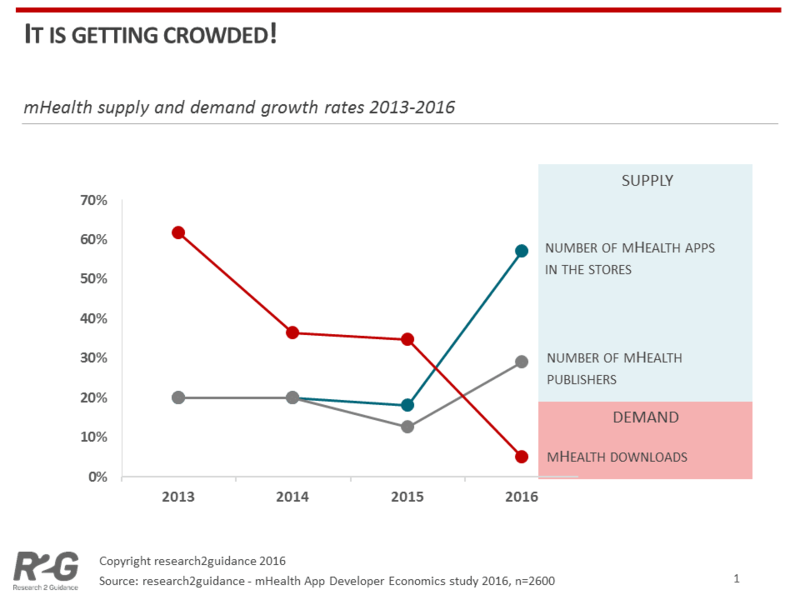 First, the medical app development market is crowded, and the supply is way bigger than the demand, according to Research 2 Guidance. In such a competitive environment it’s getting harder to build hospital apps that gain downloads, and only 14% of all mHealth app publishers have actually attracted a significant audience. However, people still continue to download mHealth applications, and the next increase in demand will likely come from recommendations by healthcare companies. Hospitals will become key to this process, developing their own apps and motivating employees and patients to download them. While competition in the overall healthcare medical app market is intense, there are still plenty of opportunities in mHealth apps for hospitals, as not every hospital offers an app to patients; 44% of the biggest US hospitals don’t have an application yet. But according to an Accenture report, demand for hospital apps is already there: 54% of patients would love to use mobile apps to interact with hospitals but only 2% of patients frequently use such apps. The main reason is that custom hospital apps don’t live up to the expectations of either patients or doctors – they lack necessary functionality. The second reason is poor user experience. Most hospital apps aren’t high quality and don’t give users what they need most. Actually, both doctors and patients prefer to use applications made by third-party app publishers rather than hospitals because they better reflect their actual needs. On the other hand, ready solutions are often a lesser of two evils, because a one-size-fits-all approach rarely works for hospitals. Each one has its own rules, scale, level of technical ability and internal processes that need their own custom solution. The idea to develop a custom mobile app will pay off because it will fit the needs exactly as it should. In this article, we talk about how to develop a great healthcare app for a hospital that will be competitive on the mHealth market and will make your hospital more innovative and profitable. There are several types of applications that hospitals commonly develop. General hospital apps provide general information about the hospital, doctors, departments, and services. They can also offer virtual 3D tours to guide potential and actual clients through the hospital. These apps work great for big hospitals with lots of departments and separate buildings. General hospital applications can be more advanced and contain more information about the doctors and services and give users an opportunity to leave reviews, so it is easier for patients to choose a doctor. Physician referral apps let physicians receive information about patients, check their schedules and appointments, and connect to other doctors and departments to quickly and effectively exchange information. These apps assist in diagnosis as they let doctors have all lab results, X-rays, and charts in front of them. The main goal of such applications is to increase effectiveness of each physician: instead of looking for lab results or get a patient to bring them from one department to another, a doctor can just check the application and get all the information. Referral apps have to be very secure, as they can store or transmit sensitive information about the patients. 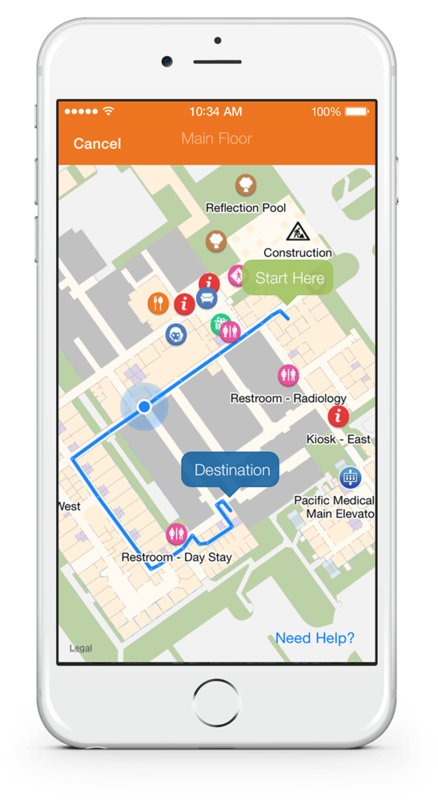 Wayfinding apps offer indoor maps to help patients navigate the hospital and find departments and doctors. Such application can be a part of a general hospital app, but it can be a standalone app as well. If it is hard to orient on the hospital territory, this application can be very useful for patients. Outpatient apps are used to exchange lab results, track current states of their patients’ health, and manage treatment plans. They provide remote monitoring of patients with the help of on-demand telemedicine and wearables that track heart rate and other physical indicators and send data to doctors. Security and data accuracy is very important for outpatient apps. Wellness apps allow patients to manage their health with tracker devices, plan exercise schedules, and get healthy lifestyle tips. You can also find pregnancy and childcare applications that have pregnancy trackers and provide information about childbirth and child care. Wellness applications should be compatible with many types of tracking devices, such as smartwatches and wrist bands. Medication tracking apps use notifications to remind patients when to take their medications, doses, and meals. These applications should be very customizable. They can contain a database of medications and store recommendations for intakes. Medication tracking apps can also be controlled by doctors, so that a doctor can add recommendations and tell when to stop the medication course. Medical reference apps include ICD-9/10 reference guides and provide quick access to reference materials that help physicians during their work. These apps can also be beneficial for medical students and interns. Such applications can also include schedules of conferences, trainings and qualification courses. Each kind of application contains different features, but we advise you to develop an all-in-one app. First, this will allow you to compete with third-party medical applications. Second, an all-in-one app will be way more valuable for your hospital and more convenient for users. 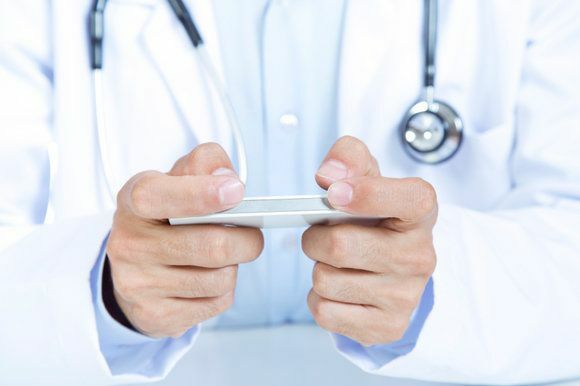 Patients, who face a lot of choice when it comes to applications, don’t like to load their smartphones with tons of apps, so yours will be more successful if it covers any issue a patient or doctor may have. If you’re planning to create a hospital mobile app, be sure to include the features you’ll see in the list below. This will make your app comprehensive and advanced so your patients and employees can access everything in one place. We also made an approximate estimation of a cost of hospital mobile app development in days. Based on this, you’ll be able to understand how much time it will take to build a hospital app. Note, that if you want to create native apps for two operating systems (Android and iOS), you’ll need to multiply the development cost by two. The price will depend also on the number of team members and their hourly rates. Hourly rates depend massively on the location, so you should choose the best area to outsource your development project. The rate also depends on your hospital application development company: the most experienced companies will be more expensive. These are average rates in different regions. As you see, developing a mobile app is the most expensive in North America and Australia. Eastern Europe, on the other hand, can offer great quality for a good price. Now let’s see what features you’ll need, and how many days it will take to develop them. Access to electronic health records/ electronic medical records is the most desired feature that very few hospital apps have. It’s hard to implement medical records access due to security concerns and restrictions, but it’s definitely worth it. An app that allows access to medical records is beneficial both for patients and doctors because it lets them seamlessly exchange information. Different departments can also send lab results and all kinds of documents, which makes communication extremely efficient. This feature is second on the list of most desired features in a healthcare app. The ability to book, reschedule, and cancel appointments is crucial for convenient communication between doctors and patients. This feature is present in best mhealth apps. Scheduling through a mobile app is convenient, happens in real time and automatically sends notifications. Prescriptions is the third feature people want to see in a mobile app. Writing prescriptions on paper is outdated – patients want to be able to do everything through a mobile app. Processing medical prescription refills is way faster in a mobile app, as a patient has no need to call the pharmacy or write an email. A few taps on a smartphone and everything’s ready. 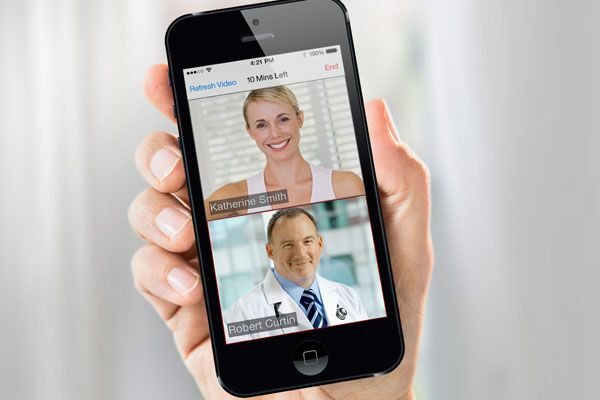 Telemedicine is one of the most promising areas of mHealth. 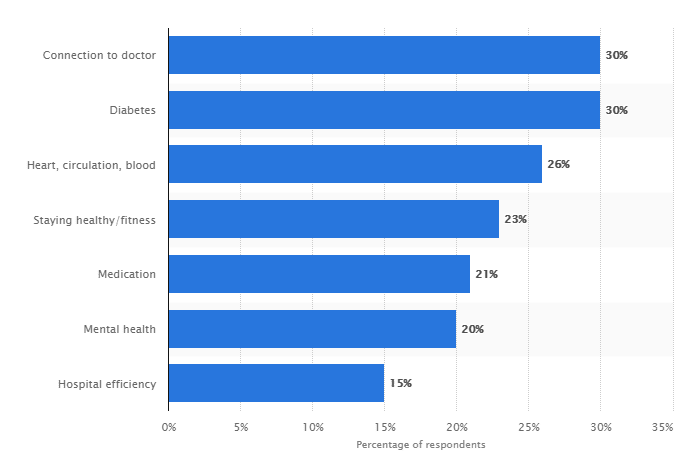 According to Statista, connecting with doctors and nurses is the most attractive uses of medical apps for app companies. As video is becoming a primary means of personal communication, video chats are only going to become more and more popular. Nothing can really replace in-person communication, but videos are the closest to it when there’s no possibility for a patient to go to the hospital personally. Adding this feature to your mHealth mobile application will certainly be appreciated by patients and doctors and will give you an advantage among other mobile apps. Dashboards are used to manage and track data in a hospital, which includes KPIs and other metrics. This allows you to visualize data and get all the information in one place. Dashboards also measure generated revenue and the effectiveness of different departments in a hospital or clinic. Dashboards may include overall hospital information and statistics on client satisfaction, performance, and many other metrics. Notifications are one of the best capabilities of a mobile app. Notifications can benefit doctors and patients. Doctors can receive notifications about appointments and changes in their schedules and patients can be reminded to take pills, go to the hospital, get a medical procedure, or refill their prescriptions. Wearables are used not only for fitness but also for tracking health and life metrics like heart rate and glucose level. 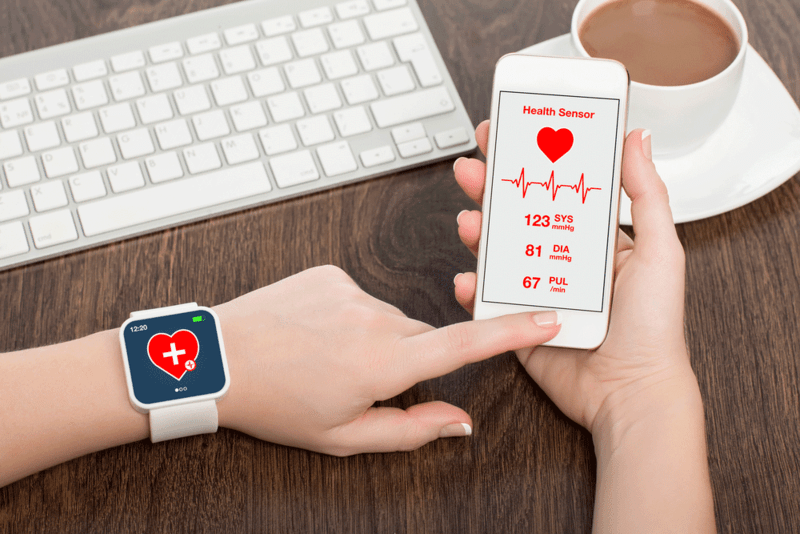 You can make tracking patients’ health more effective by allowing your app to connect with wearables. This can also assist in diagnosing diseases. This feature allows patients to view the profiles of doctors in a hospital. Patients can learn about a doctor’s professional experience, credentials, and publications and can see photos of them. This increases the loyalty and credibility of your hospital. You can use location-based technologies to show patients the route to your hospital and help them navigate departments and wings. The best solution is to include both outdoor and indoor maps so that patients won’t get lost inside the hospital once they get there. Your app can also help patients find local family doctors. A hospital mobile app without accessibility is like a fitness app without a workout program. Your app should definitely be accessible for people with disabilities, for example poor sight or color blindness. To make your app accessible, you can use standard solutions from Google and Apple. They give developers an ability to implement features like Voice Access or TalkBack into your hospital app. These are the best features for an mHealth mobile application. You can include some or all of them in your hospital application and determine the cost of the hospital mobile app development. Each of these features will definitely be beneficial for your app. We’ve already mentioned the three most desired features that the majority of medical apps don’t have. Why don’t they have these features? The reason is of course security. Allowing patients to access their medical records through a mobile app is a great responsibility, and many hospitals don’t wish to take it. This is why it is hard to create a hospital mobile app that will correspond to doctors’ and patients’ wishes. These concerns are understandable, as hospital data is very attractive for intruders, as they contain insurance data and records. The hazard increases with the global trend of digitizing and automating processes. Healthcare facilities and hospitals are often attacked because they are viewed as unprotected. Staff and patients both use different devices for tracking and managing their work, and a mobile app that coordinates all this needs most serious protection. Healthcare and insurance industry security standards are regulated by governments to protect patients’ sensitive and personal data. Requirements for medical application development vary by country or region. 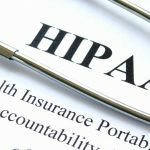 The main act that protects patients’ Protected Health Information (PHI) is the Health Insurance Portability and Accountability Act (HIPAA). This large act contains regulations concerning information exchange between servers and prohibiting sending healthcare data to unauthorized entities. The laws that regulate medical apps in the European Union are the Data Protection Directive 1995/46/EC and the e-Privacy Directive 2002/58/EC. All mHealth apps that contain personal information have to comply with these directives. Data processing is considered legal only if all the requirements mentioned in these directives are met. The Personal Information Protection and Electronic Documents Act (PIPEDA) regulates exchange and access to sensitive medical-related information in Canada. 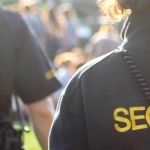 This act also regulates the circumstances which can be considered reasonable and appropriate for collecting, using, and disclosing such information. In recent years, Asian countries have begun to rethink their privacy regulations and have implemented many new privacy laws following the example of the EU. Japan has developed a Personal Information Protection Act (PIPA). Singapore has the Personal Data Protection Act (PDPA), which protects information about patients and has one of the strictest penalties for breaching data privacy. 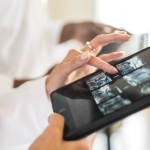 There’s a good chance to overcome the competition on the mHealth market by adding useful features and developing a comprehensive all-in-one app. People who wish to use a mobile app to connect with doctors will appreciate your application if it’s secure and simple. A secure, simple app will also help doctors work effectively, saving them time and money. A great mobile app can be a serious advantage and reflect well on your hospital brand. Our advice is to hire a good development company that will be able to build a secure app for your healthcare business. If you want to develop a mobile app for hospital with some great features that are compliant with security and privacy regulations, don’t hesitate to contact Mobindustry. We provide hospital apps development services and guarantee the security of our apps. Do you want to build a mobile app for your clinic?